If your federal student aid allotment is not enough to cover for the costs of your tuition and other college fees, you can consider availing a private student loan. Private student loans will give you flexible repayment terms and interest rate options with extra benefits. But before you decide on signing anything, it’s important to determine the best private student loans for college and know what exactly you are looking for. As you start reviewing the various interest rates, you must remember that you can apply for more than one loan to determine which one will give you the best deal. There are ways that you can do so without affecting your credit score. Most lenders of private student loans do a soft pull on your credit which allows you to see what you might be approved for without affecting your credit score. If you want to do a formal application with more than one lender, you could avoid affecting your credit score by rate shopping within a window of two weeks. Other than looking for the best offers for the student loans for college, you should also look for the perks that you can take advantage of – for example – a number of lenders offer low rates for college students that have good grades, while others gives you the ability to release your cosigner. Our list of the best private student loan lenders will help you determine where to start your search. College Ave offers Student Loans for undergraduates and graduate students. To avail of their loans, you must be a citizen or permanent resident of the United States of America and must be attending a participating degree-granting institution. 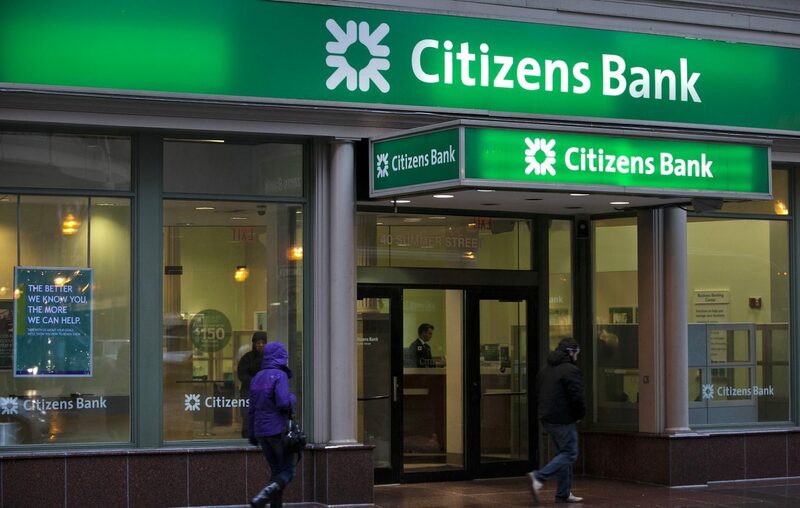 Citizens Bank picks up where the federal loans fall short. Undergrads who have already met their federal loan limit, graduate students who have expenses not covered by federal loans, and international students that cannot qualify all benefit from the student loans of Citizens Bank. Citizens Bank offers loans for undergraduates, graduate-school students, and graduate-school parents. To avail of their loans, you must be a citizen or permanent resident of the United States of America, you must be enrolled at least half-time in a degree-granting program at an eligible institution, and you must have good credit or have a qualified co-signer. The potential qualification for cosigner release will be based on creditworthiness and whether there have been 36 consecutive on-time principal and interest monthly payments. The application with Citizens Bank is relatively easy and can be accomplished entirely online. Plus, you are only required to apply once to get qualified for funding for your entire college degree. LendKey, formerly known as Fynanz Inc., is a lending platform and online marketplace that enables consumers to apply for and receive Student Loan Refinancing, Home Improvement Loans, and Private Student Loans from their local community banks and credit unions. The cloud-based tools and infrastructure of LendKey enable more than 13,000 community financial institutions to enter online lending and offer loans that have lower rates for various asset classes. Discover is the only lender that gives rewards to applicants who have good grades — most lenders would just require you to maintain a C-average so that you can stay eligible. With Discover, you can receive a cash reward of 1% if you are able to maintain a GPA of 3.0 during the time covered by your loan. Both the student loans and refinancing of Discover come with unusually flexible options for repayment, like its early repayment assistance program that allows you to hold off on repayments during the first three months of the term of your loan. It also offers in-school deferment and forbearance once you get laid off or experience other unexpected financial problems. To avail of their loans, you must be a citizen or permanent resident, or an international student in the United States of America, must be enrolled at least half-time in an eligible school, must be seeking a degree, and be at least 16 years old. A wide variety of private student loans, such as loans for undergraduates, graduate students, MBA students, health professionals, medical residency relocation, law school, and bar exam costs. Repayment options for in-school deferment or minimum payments of $25. Discover also offers options for payment assistance, deferment and forbearance. Monthly payments are not required until 6 months after graduation or if enrollment drops below half-time. Or make $25 monthly fixed payments while in school and during grace period to decrease overall loan costs. SunTrust offers a catch-all student loan that borrowers can use to pay for school or to refinance an existing student loan. Its in-school refinance option allows you to refinance student loans before you graduate excluding federal loans. It is also one of the few lenders that offer loans to international students as long as they apply with a cosigner who is a citizen or permanent resident of the United States of America. Just like Citizens Bank, SunTrust rewards borrowers for their loyalty. While anyone can receive a 0.25 percent discount for signing up for automatic payments, you will knock off an additional 0.25 percent if you pay from a SunTrust account. After you graduate, SunTrust will lower your loan principal by 1 percent if you send in a copy of your degree or final transcript. CommonBond allows you to Finance your higher education or refinance existing student loans. It claims to be a lender with a strong social mission that offers terms that fit everyone’s budget. CommonBond offers options for current students, graduates, and their parents. It offers a whole lot of options and potential discounts. CommonBond stands out because of the dedication that it has shown in giving back. For every loan funded through its platform, a child in need gets their education funded for a whole year. So far, CommonBond has funded the education of more than 2,000 students. They have helped establish more than 420 schools in four underserved countries namely: Guatemala, Ghana, Nicaragua, and Laos. To avail of their loans, you must be a citizen or permanent resident of the United States of America, enrolled at or graduated from an approved Title IV undergraduate, graduate, or MBA program, and must have good to excellent credit or creditworthy cosigner. A lot of factors can make a private student loan stand out. The primary ones that you should concentrate on are fees and interest rates charged. The amount of money that you take out on your college loan will only be the start. You should give yourself the best opportunity of maintaining a manageable level of debt by keeping your fees and rates as low as possible.